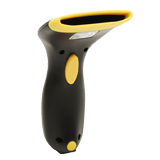 The Wasp WCS3900 barcode scanner offers durable construction and ergonomic design for comfortable use. Perfect for office, library, and light retail environments, the WCS3900 makes it easy to manage the information your business needs – without time consuming data entry. Adding information to a database, spreadsheet or word processing document is efficient and error free – just scan the barcode, and data is instantly sent to your active application as though it was typed on a keyboard. The WCS3900 is designed for fast, easy installation. Connect the WCS3900 to your PC using the USB port or keyboard wedge (PS/2). 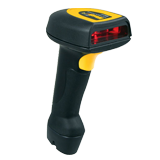 The WCS3900 barcode scanner is configured to read most common 1D barcodes, right out of the box – no drivers necessary. 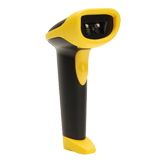 The WCS3900 allows you to scan barcodes up to 1” away, with a maximum barcode width of 3.25”.